Work on the roof top level being undertaken on Sunday16/12/2018. Picture on western side. I’m not bagging the design but is it just me or does this look nothing like the render? I thought it was going to be mainly white with an almost orange tinge. This looks like they flogged some of the materials of the Calvary Hospital down the street. 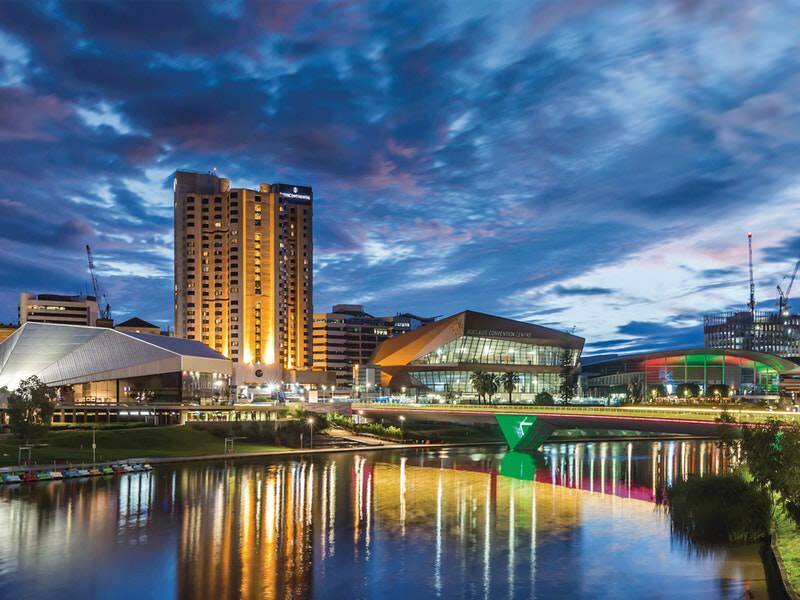 In saying that, I really like the design and think its one of the best new developments in adelaide atm. 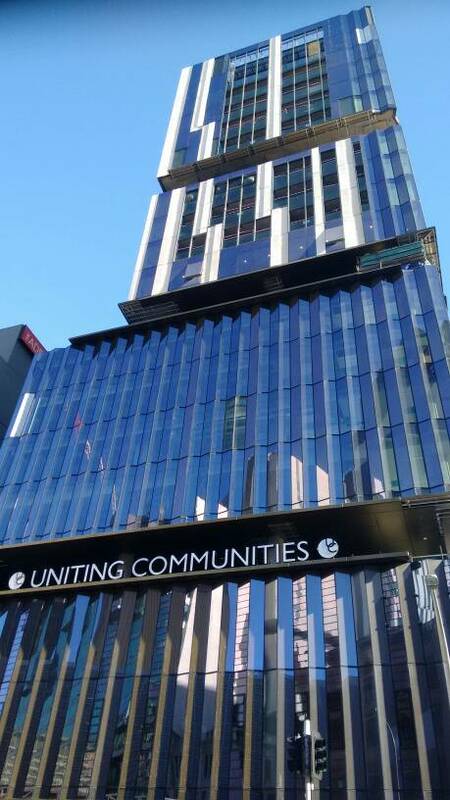 Great addition to our skyline ... excellent design and excellent materials. The materials do look high quality and I'm glad the masonry has a white rather than beige cast. More diversity for our skyline. I hope the ceiling of the common areas ends up being copper/bronze per the render rather than the black that appears to be being currently installed. The warmer hue will pick up the colour of the podium glass and make the common areas look more 'open'. Absolutely love the podium. The rest of the tower? Meh...it's OK I guess. Looks a little messy. 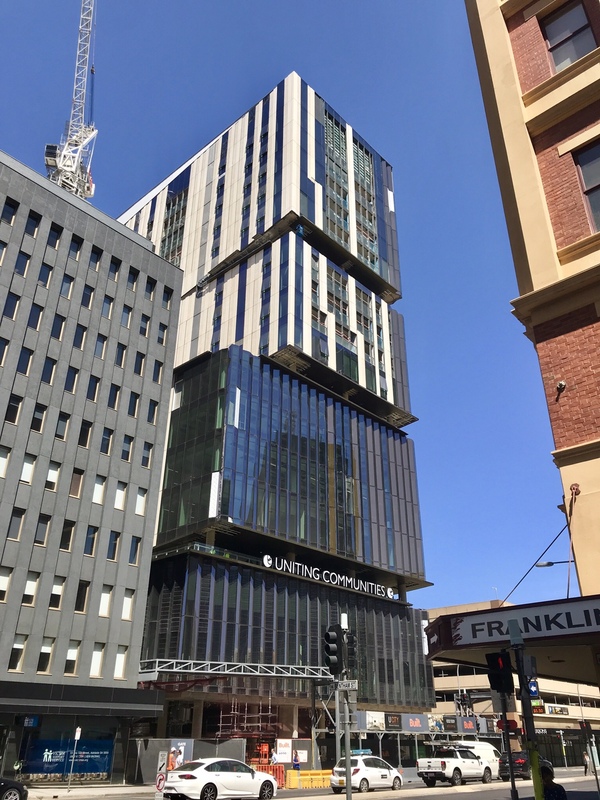 A rarely-seen view from the side/rear (3/3/2019). 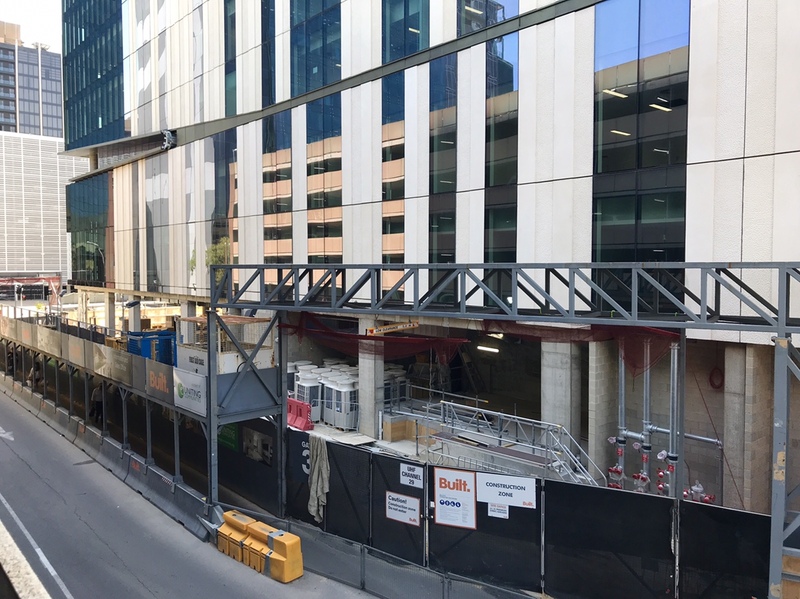 U - City moved a step closer to completion over the week end when 2 small mobile cranes removed the hoardings and builders scaffolding and erected a canter levered veranda in Franklin St and Pitt St. This has clear glass roof panels supported by tapering beams.